Ron Merly has more than 45 years of experience fishing the trout streams of Connecticut. He has been flyfishing since age 5, possesses excellent teaching skills and is an award winning outdoor writer whose credits include On The Water, Eastern Flyfishing, Trout and American Angler magazines. Ron holds the Connecticut state record for sea-run brown trout and is the author of Flyfisher’s Guide to Connecticut. He also served as President of the Nutmeg Chapter of Trout Unlimited from 09-12 and spent twelve years on their Board of Directors. Ron is currently working with the Sea-Run Brook Trout Coalition in their efforts to restore salters to Northeastern coastal streams. 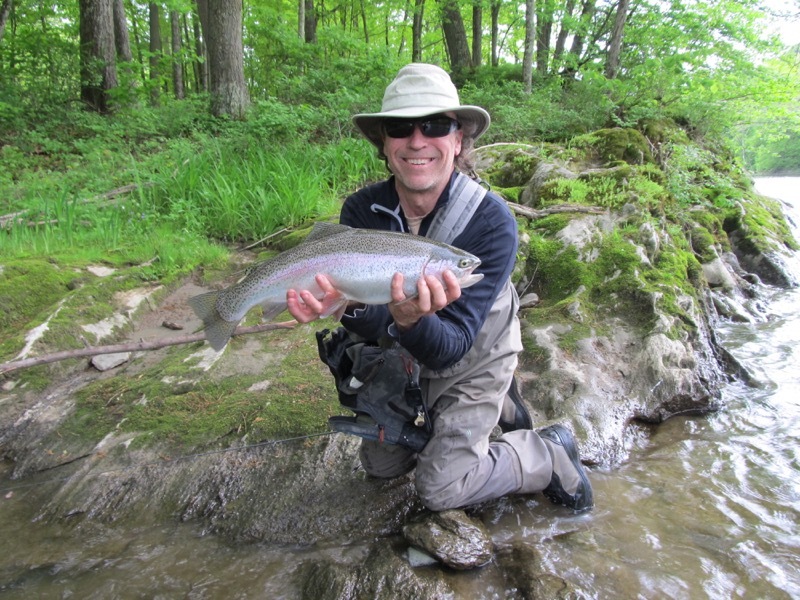 Let Ron’s intrinsic knowledge of Connecticut’s waters guide you to everything from the small wild trout streams to the Farmington and Housatonic Rivers or fish the coastal estuaries for sea-run trout. Night fishing and guided steelhead trips can also be arranged. Contact Ron at rjmerly@yahoo.ca, call 203-558-2787, or visit Ron Merly’s Fishing Guide Service’s Facebook page.